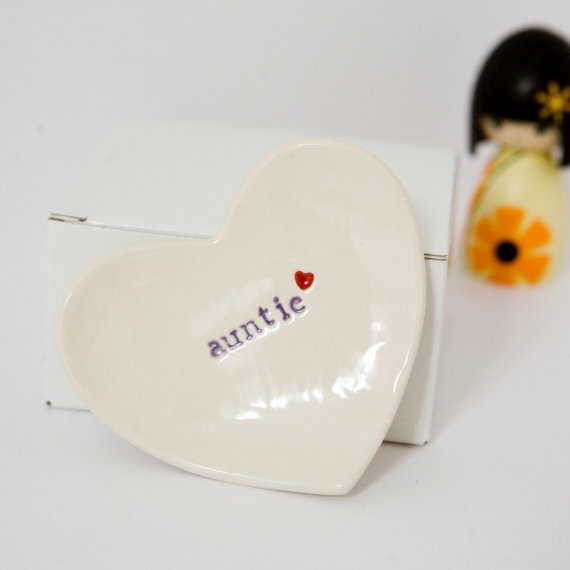 For the First ime since infertility…..
I’m going to be an Auntie!! Yes my eldest sister is expecting, again!! The Next shock – Due on Christmas Day!! ‘If I need time or space or if I seem off or just plain miserable, please don’t take offence or think I’m not over the moon for you. I am. I am proud. And I will be the world’s best auntie as I try to be already. Really, it is not personal. Recently I wrote a post about our journey so far, I wrote it in terms of a physical battle, with strengths and weaknesses as metaphorical weapons and with Infertility as a human. I intended for it to show that a fight with infertility isn’t just a fight with infertility. It becomes a fight with everything, you vs the world. Too Dramatic?? .. Think about it… My husband, My family and My friends ARE My world. Maybe what I did not portray very well was the blame aspect.. I don’t tend to go into details about our infertility because I think it’s pointless, it doesn’t change the one fact this whole blog is about – My husband and I can Not have children. But maybe what you should know is that in our first year of marriage we found out that my husband could not have children. Yes you heard me, My husband. This was an incredibly hard time for us, a little down the line and full of the hopes of modern medicine and a very helpful donation from a male friend we also found out that I can’t have children either. So my husband blamed me for wanting something that we just can’t have, And I blamed my husband for making me want something we just can’t have. I am ashamed that we also blamed God, and for how long. I prey everyday for His forgiveness. But the blame I referred to in my previous post as an ‘axe’ well.. this blame is self blame. We are both guilty of self blame, no matter how much I tell my husband differently, I can still see it in his eyes. And no matter what my husband, doctors, or reasoning tells me I never quite believe that this isnt somehow all my fault. That is Infertility’s axe. The point, I Promise I’ll get there, of writing a post about a post, is that I originally deleted said post after I received a not so helpful comment.. It read ‘CHANGE YOUR LIFE. NOW!’ And obviously had a link to a ‘change your life’, self help site. I quickly deleted my post thinking that maybe I had started to prattle on (often done by myself) and somehow missed my own point? I have always struggled with criticism but Was I wrong to be offended? I thought that I had communicated an ‘I’m still standing’ Or ‘ I will survive’ kind of moment, this person however must have thought I was on the edge…?? ?….of a building? I am Truly sorry if you feared for my safety but I stand by what I said.. ‘Every single day is a fight’ weather it’s a fight with my own emotions or a row with my dear husband. It by no stretch of the imagination means I have given up. My blog is for me, If it actually helps someone I would be thrilled, but if it means me unloading all my hurt feelings and thoughts here so that I can walk out my door with a weight off my shoulders and smile on my face, so be it. I Am Eternally greatful for the People I have found in the short time since I started my public journey. People who are going through what my husband and I are going through, people who are feeling the same things we are, People who have been through much worse and for alot longer… All of these are incredible people who are surviving everyday. ‘Surviving’ may sound very dramatic to the outside world – The ones lucky enough to be blessed with children – It does not mean we are not living our lives and enjoying life too – it means that Every single day is a fight, with ups and downs so extreme you could burn your arse on the sun or get frostbite! Imagine Infertility as a human. Imagine he wants a fight. What do you see? I see a mean looking man, only slightly taller than I am. I see an arena the size of a tennis court with netting all the way around and a roof so there is no escaping. I see a rule board with no rules and a calender instead of a timer. Knowing if I win, Infertility loses and I get to start my family. I step up to the gates and Infertility whispers to me ‘Neither one of us can die, and only you can feel pain. Last chance to turn back now.’ I step inside. I hear dead bolts locking me in and infertility laughing. The Battle begins. Infertility now looks 10ft tall and strong. I want to leave, knowing there is no turning back I look for places to hide there are none. My only chance is to fight. Infertility holds up a shield he calls ‘Fear’ blocking any attack I was contemplating. He shows me an array of weapons only to add to my rising panic. He pretends to be unsure of which weapon to strike me with first, The sword named ‘Rage’ or the axe named ‘Blame’. He settles on a spear and tosses it at me enjoying every moment, with nothing to defend my self the spear tears through my soul, He needn’t tell me the name as I felt every ounce of ‘Grief’ pass through my body. Just when I think it can not get any worse, Infertility has gained some unknowing recruits in this war. people close to me who he can use as weapons – a pregnant friend, Envy. Fertile family members, Pity. My husband, Disapointment… All being forced to stand against me one blow after another. And then the kicker, Infertility morphes into somone more familier, more painful then I ever thought possible. Someone who doesn’t need any weapons to hurt me, this thing is Failure, this thing is me. My Battle has officially been going on for 4 years, 5 months & 26 days. I for one am Exhausted. I did eventually find my shield, ‘Hope’ and My sword,’Faith’. I also managed to covert some Warriors so now I no longer battle with my loved ones, they stand by my side as I continue to stand up against Infertility. My thought was that one day – soon – we will have to stop. Stop thinking that this is just a set back, accept that we are never going to have a biological child and if we dont make immediate changes to our life then we will never be eligible to foster or adopt. If we don’t get on the right tracks now we can kiss the dream of a family good bye. Today I pick myself of the metaphorical floor and Carry on.